On Halloween we ended up having some friends over to play Pinochle. 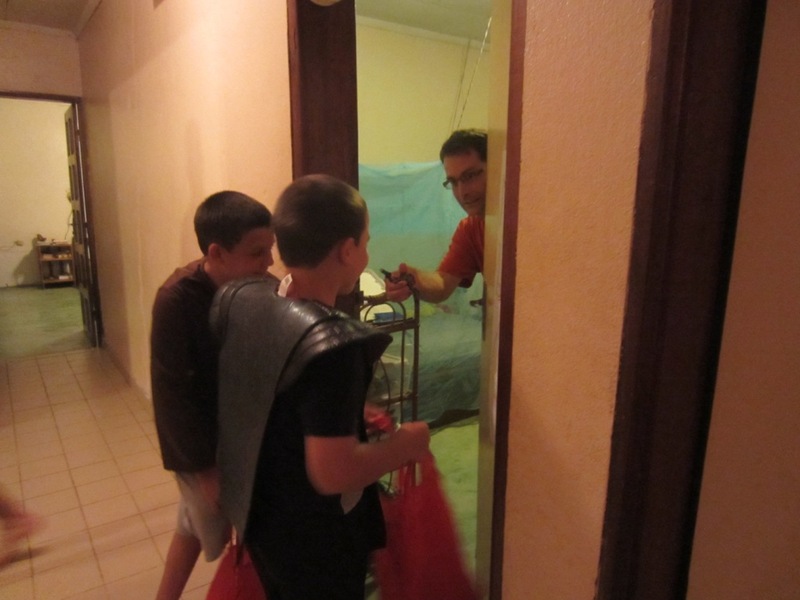 The boys wanted to get candy, so I (DeAnna) decided to have the boys trick or treat in the house knocking on four different doors. 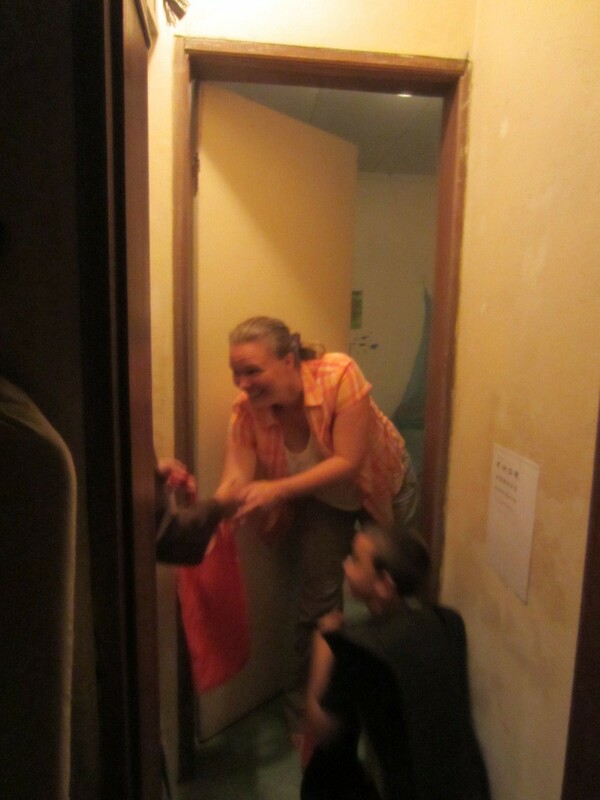 One of our friends said it was her first time to hand out candy and she enjoyed it. 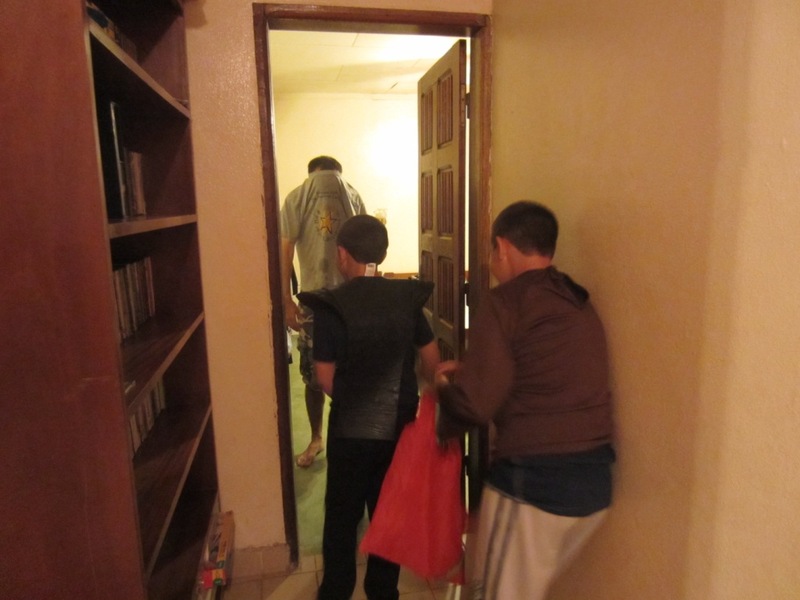 This entry was posted in Cameroon, home, Kids and tagged Cameroon, Halloween, Home, Kids. Bookmark the permalink. Cute idea, pinochle- that’s cool! Always thinking. So glad you have pinochle partners. Did you teach the boys how to play yet? Fun. The boys are growing so fast. Love seeing the pictures. That is so sweet! You are such a good Mamma!